President Leslie E. Wong announced last week that SF State plans to be the first university to stake claim to more than 60,000 square feet of open space at a new development project in the Hunters Point Shipyard. “We are planting the SF State flag in Hunters Point to ensure that every city resident has an educational pathway into San Francisco’s dynamic economy,” Wong said. As part of the mixed-use commercial space, the 3.2 million-square-foot shipyard development project, slated to begin 2018, will include office, hotel and entertainment spaces as well as biotech and institutional program areas. However, no funding has been dedicated to the project yet, according to Whalen. Lennar Urban, who is in partnership with the Bayview-Hunters Point community, will introduce new infrastructure to the area, in addition to restored parks, regional and neighborhood retail centers and a diverse range of housing opportunities for the Hunters Point Shipyard and Candlestick Point communities, according to a press release sent by Lennar Urban. The new development at Hunters Point will build more than 10,000 new residences, at least 3,000 of them are expected to be affordable housing, according to their website. “SFSU’s announcement is very exciting for us as it is our first official agreement for leasing our commercial space and promises to brings future jobs and investments to the area,” Communications Project Manager at Lennar Urban, Jackie Spear said. 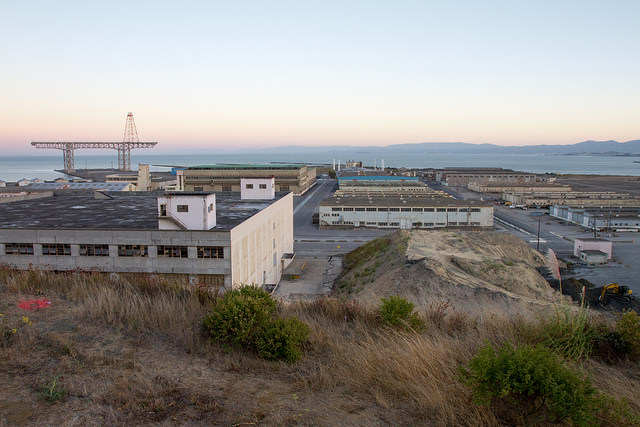 The company is also the current developer of three revitalization projects in the city, including Treasure Island, Candlestick Point and the San Francisco Shipyard project. “The Innovation Alley in the Hunters Point Shipyard offers an exciting opportunity to situate ourselves in a collaborative environment that will include industry and non-profit organizations who need the talent and imagination that our students provide,” said Whalen.